The end of December 2011 begins a new certification cycle for the years 2012-2013. You soon will be receiving information through the mail and/or email regarding renewing your certification. Certification applications along with CE forms can now be submitted online as well as payment through Pay Pal. 15 CE credits are required for every 2 year period. For applications and CE form click on certification link on the left side of the home page. Membership for 2 years is include with every Certification. Active and Associate Memberships are renewed yearly, you can find applications on our website. Just click on the Membership link on the left side of the home page and you will find information regarding renewing or applying forMembership. Miami Dade College welcomed the new veterinary technician students this week. 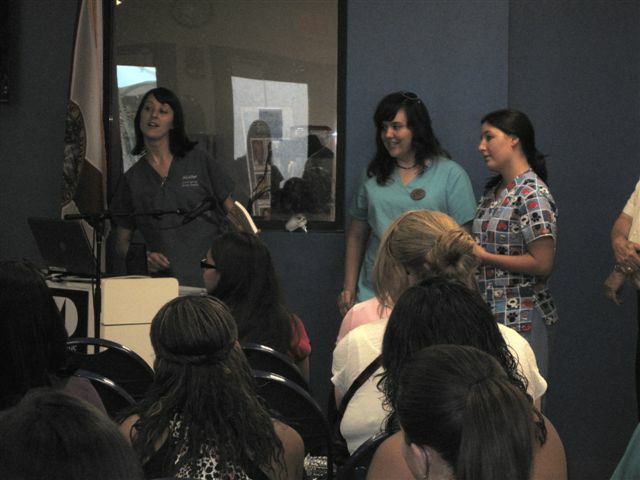 These are photos of the vet tech club at MDC during freshman orientation. They had an answer section, played Jeoprady (with really nice prizes), and discussed what it is like to be a vet tech student at MDC. Get ready for an amazing year! Welcome to FVTA's new website. 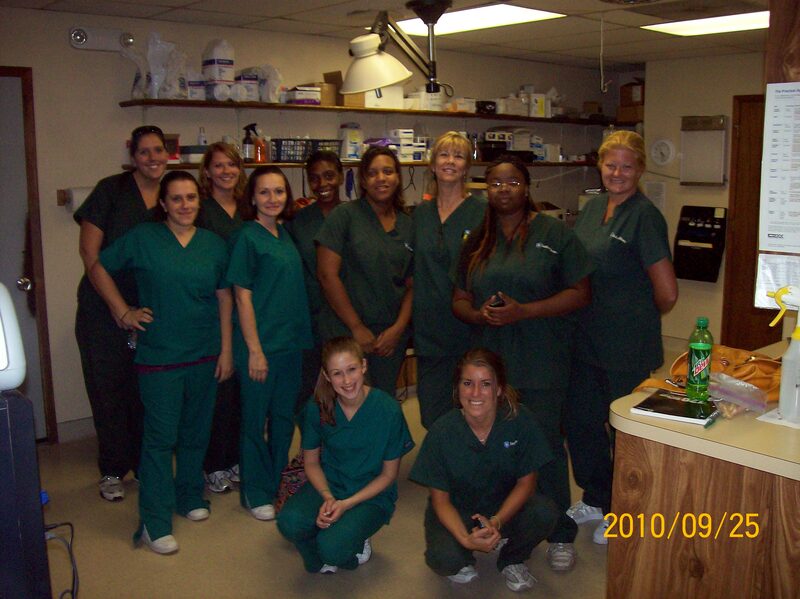 We hope to hear from you, as you continue to grow in your career as a certified veterinary technician in Florida. Our goal is to bring you relevant information, access to educational programs, volunteer opportunities, jobs and of course, a venue to expand your networking with other veterinary technicians in your community. But first things first. Have you visited our Facebook Page? Our new Page will be place for your to connect with other veterinary technicians, exchange ideas, learn about events, opportunities or simple stay connected with others in the field. If you are still in school, check out our Student Chapter section. We look forward to hearing about your classes, projects, activities and of course, send us your photos. We hope to include the information received on our website and Facebook page. The new volunteer opportunities section of the website, will connect you with organizations throughout Florida that welcome veterinary technicians as volunteers. Get the experience you need to advance in your career. There is no better place to get ready than here. Connect with other certified technicians in the network and get ready for a successful career. We are always looking for members interested in leadership position. Join a committee, volunteer to assist in a special project and get familiar with the organization. Get ready to become a leader in your organization. Who knows! You may be future FVTA President. Send us a message via email or posted on Facebook. Tell us about yourself and let's have a phenomenal year. We do look forward to hearing from you. According to a recent study, dogs can sniff out lung cancer from patient's breath. Amazing! Researchers in Germany trained dogs to pick up the scent of volatile organic compounds which are linked to the presence of lung cancer. Here is the links to the article published byAOL Healthy Living. The Veterinary Technology Program at Sanford Brown Institute in Jacksonville is buzzing with activity. The current enrollment is 65 students with 10 of them currently in externships and graduating in August. Current students are actively involved in studies as well as field trips to The University of Florida, The Jacksonville Zoo and Diamond D Stables for large animal experience. They are scheduled to have additional students beginning classes in September and November. "We are in the process of elections for our inaugural chapter of SCNAVTA. The students are excited to take part in organizing and leading the chapter in future activities and fund raisers." What's happening at your student chapter? Send us an update of your activities, pictures and simple a quick note. We want to know from you and your students.